I recently had the great pleasure of going to the Inaugural Lectures of my two new (ish) professor colleagues, Christian Fuchs and Graham Meikle, on consecutive Wednesdays at the University of Westminster. They both gave excellent talks, critical and hopeful at the same time. I felt very proud of them both. Inevitably, this got me thinking about inaugural lectures. As I tweeted while anticipating the first one: “You might have his albums to play at home, but you can’t beat these live gigs”. When I did my inaugural lecture at the University of Westminster, hundreds of millions of years ago, i.e. in 2008, they made a full-length video, but you couldn’t put it on YouTube, because way back then, YouTube only accepted videos of 10 minutes or less. This prompted me to make a 10-minute summary video, available here, which was probably a good thing, because you get all the main points in 10 minutes rather than 60. But you don’t get the full-length performance – the nuances! The asides! The rubbish jokes! Therefore, I poked around my hard drive for a while and found this, the full-length 58-minute video, so have put it on YouTube for the first time. I hope you might enjoy it. Well, I hope someone might enjoy it. All the sensible people watch the 10-minute one, obviously, which is my most-watched video on YouTube to date, with 21,500 views (as of March 2014). It’s shorter and you don’t have to look at me talking. But the longer one contains 600 per cent more of everything. 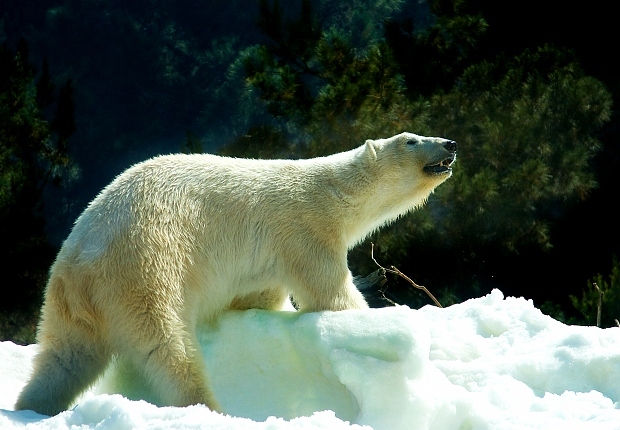 Polar bear photo by Flickr user Cyrusbulsara (see original), used under a Creative Commons BY-NC 2.0 licence.